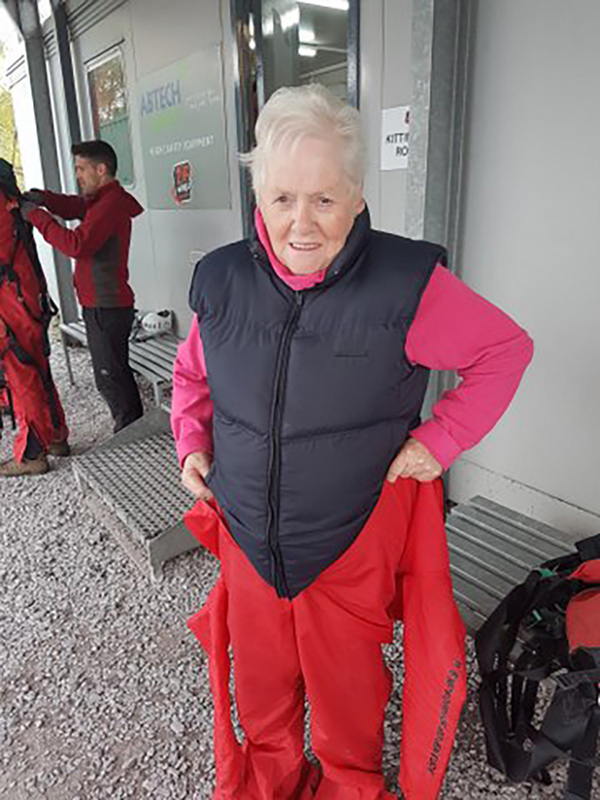 A DAREDEVIL grandmother was the guest of honour at the official opening of a nursery’s outdoor play area after she took on the fastest zip wire in the world to raise money for it. 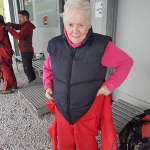 Courageous Carys Thomas, 77, raised £1,500 by completing the daunting Zip World challenge in Snowdonia to help Cylch Meithrin in Deiniolen, Gwynedd, fund its brand new 12,000 playground, which was designed and manufactured by outdoor play experts Creative Play. 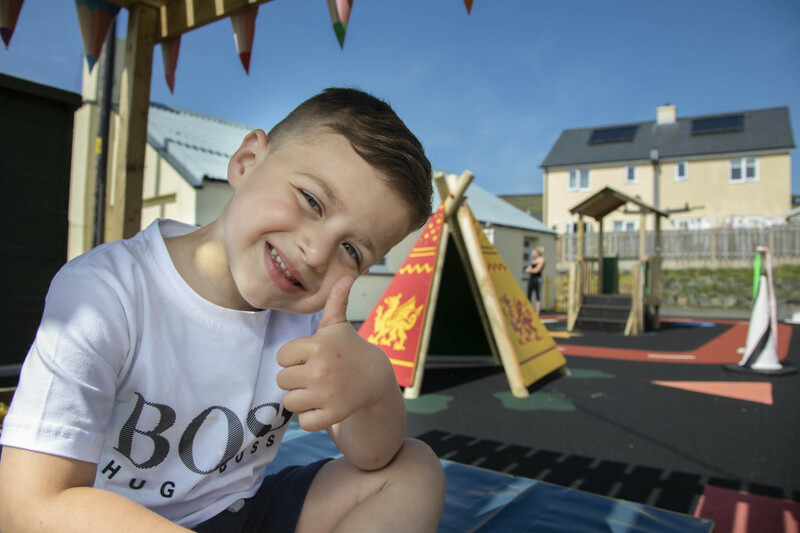 The nursery had a bare concrete yard for several years but after securing community grants and public donations, including Carys’ sponsorship money, they have finally been able to transform the unused space into a much-needed safe and educational play facility. 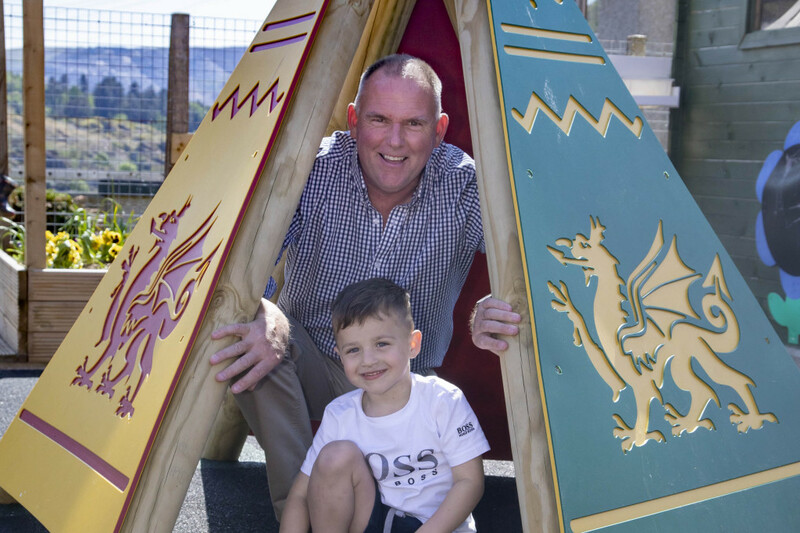 Chester-based Creative Play installed wetpour safety flooring, a slide, wigwam and climbing frame to transform the concrete space. 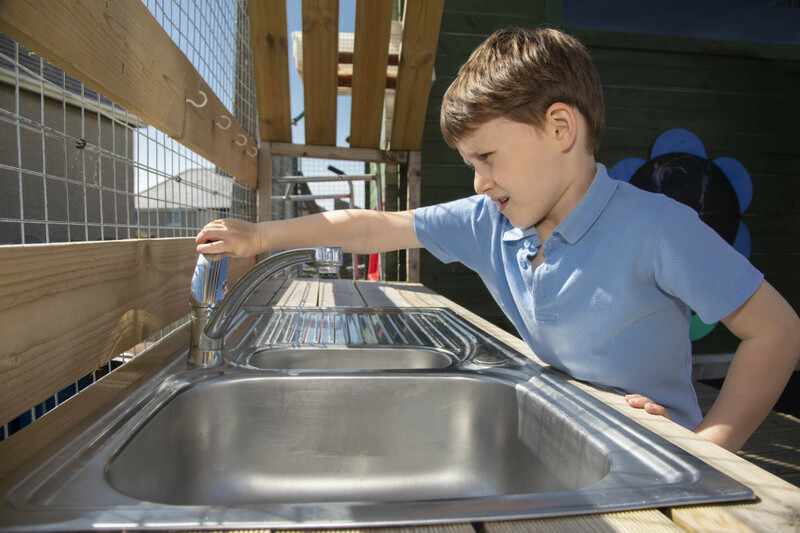 The nursery, which caters for children aged two and a half to four years old, has also separately purchased metal fencing, a shed and sandpit to complete their new outdoor space. 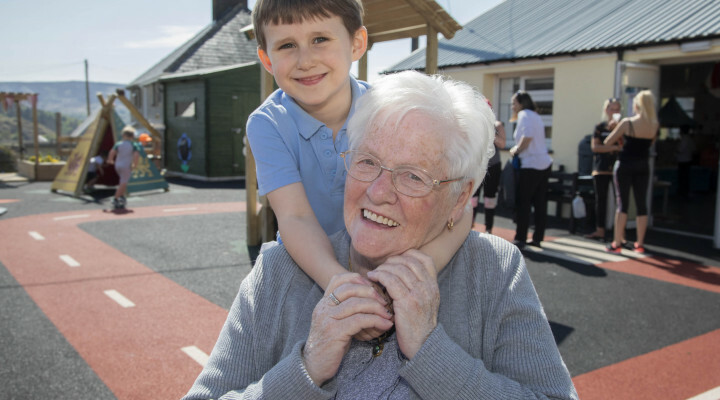 Carys, who has lived in the village since 1963 and whose four grandchildren all attended the nursery when they were younger, hailed the new play area as “fantastic”. She added: “It makes it all worthwhile when you see the smiles on the kids’ faces. They were really enjoying themselves, playing and running around. 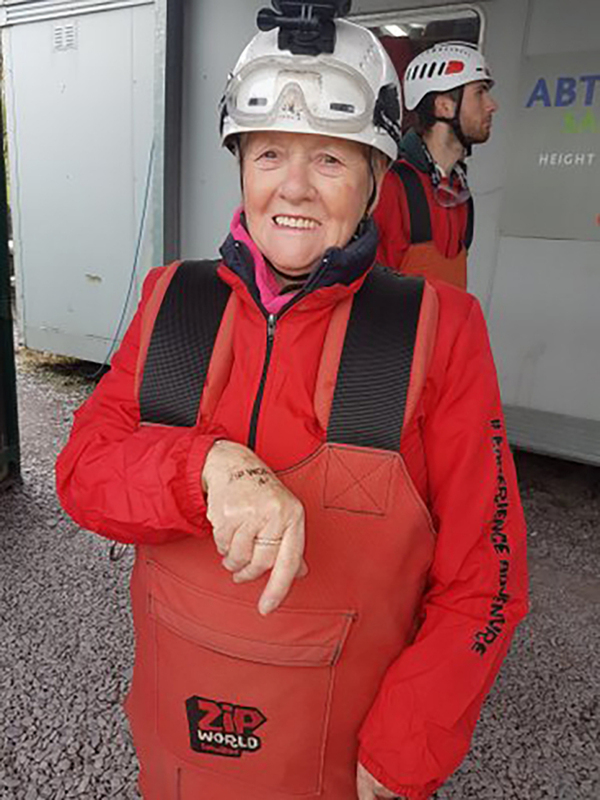 Carys’ daredevil exploits came about after she won the opportunity to take on the longest zip wire challenge in Europe at Penrhyn Quarry, Bethesda, in a raffle at her local bingo. She said: “I didn’t really know what to do with it but then I decided that rather than giving it away I should do it myself and do it for charity. “My daughter in law works at the nursery and we were talking about some local charities I could help. “Then she mentioned the nursery and the plans for a play area so I decided I wanted to help them out. “I took my three sons to the school over the road and my grandchildren went to the nursery when they were younger. 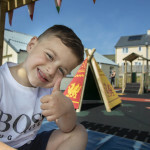 “The money I raised went a long way so I was really pleased to be able to help them. 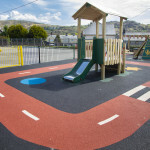 I’m delighted that the children have a play area to enjoy. 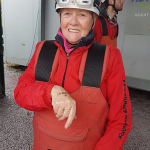 Carys admits she found it a daunting idea taking on the mile long zip wire suspended 700ft in the air, but she was never going to back out despite her three sons, Ceirion, Cemlyn and Carwyn having their doubts. She explained: “When I was on the stand ready to go down I was very nervous then. But once it started I could have gone on to Anglesey! “It was a fantastic experience but I don’t think I’d do it again! It was a once in a life time thing. “It was such a thrill but it’s certainly not something I’d usually do. It was out of character! “When I go on a plane I always sit in the middle because I can’t sit by the window and look out. “My sons all came to watch and I think they were very surprised when I did it. Everybody was! 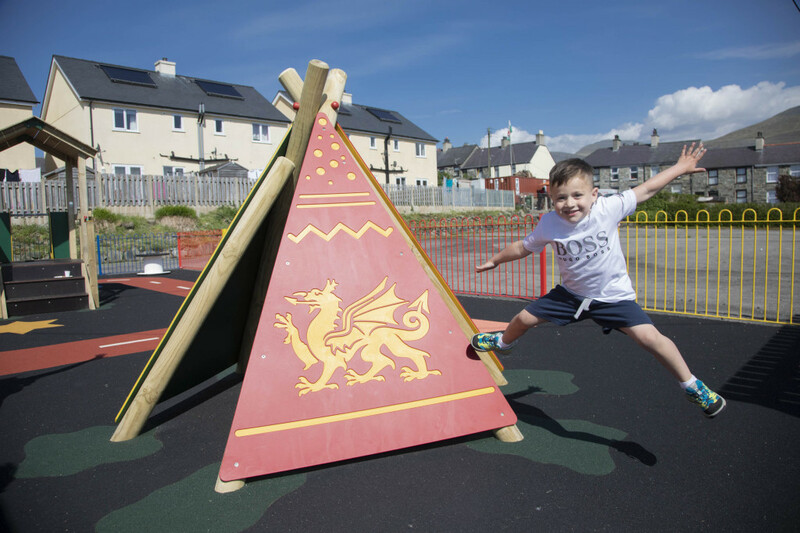 The building of the new play area was carried out by a team from Creative Play and their projects are designed to suit the client’s specifications, depending on their budget and location. 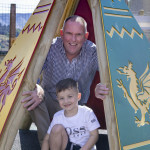 All of Creative Play’s equipment is designed and manufactured in Chester by the company’s in house teams, who use state of the art equipment and each specialise in timber, plastic or metal. 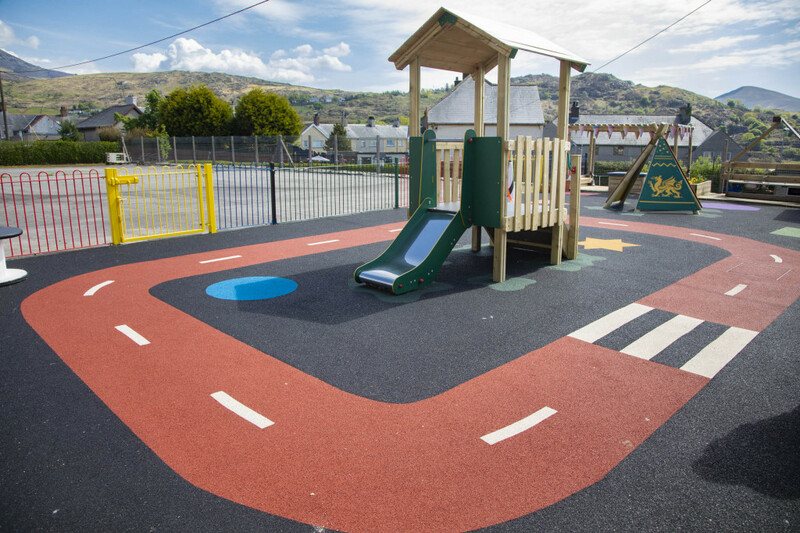 Creative Play’s own teams install the equipment and surfacing for their playgrounds to meet the requirements of the client and their own rigorous quality standards. 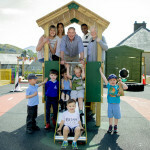 For Creative Play project manager Maldwyn Lewis it has been a particularly satisfying job to work on given he has lived in the village for 25 years, and he was full of praise for Carys and everyone who helped make the project a reality. He said: “It’s the type of community where everyone knows each other. 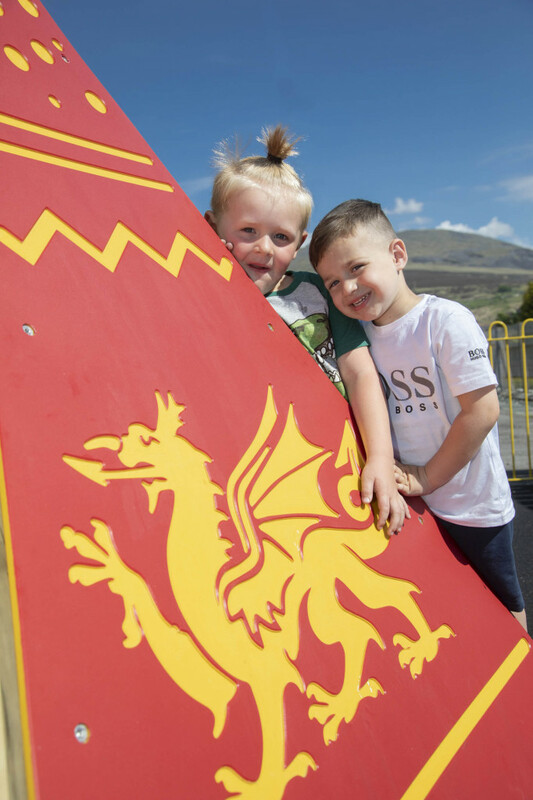 “I know Carys and her sons and the way she used the zip wire prize to her advantage to raise money for the play area is amazing. “I can’t say I’ve ever come across someone raising money that way for a project like this. “But it’s a close community here and it was a nice project for me to handle being local. 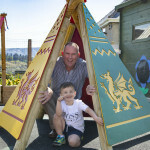 “The nursery is really pleased with the end result and that’s what matters most. 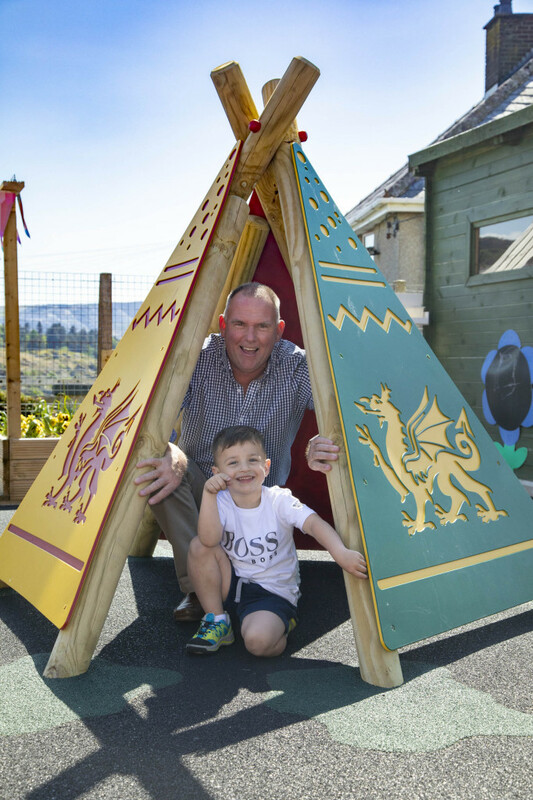 Dilwen Williams, Cylch Meithrin nursery leader, says they had been fundraising for the last couple of years and also managed to secure grants from OneFamily and Tesco as well as a generous donation from local business owner Manny Shocker, who was also a guest of honour at the opening. 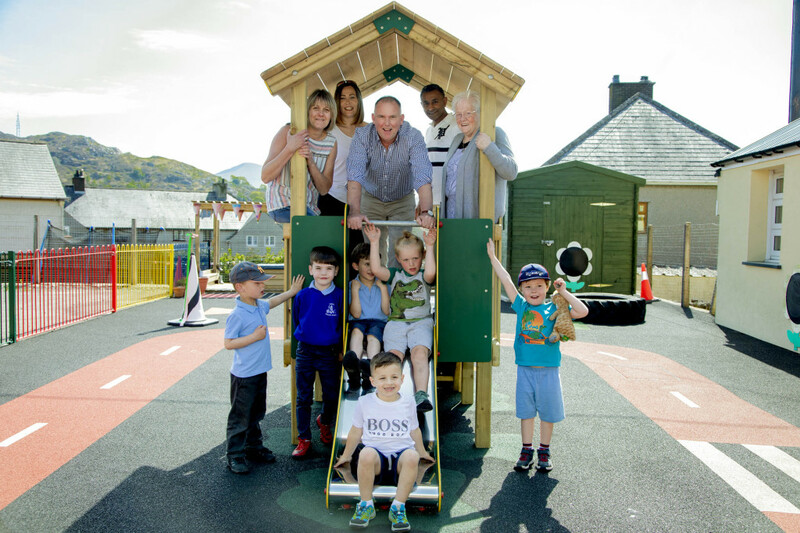 She said: “We’re so pleased with what Creative Play have done. 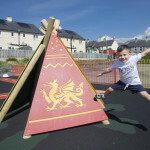 The new play area has gone down really well with the children – every day they ask to go out and play. 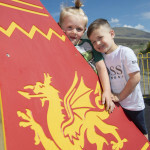 “It’s a big part of the curriculum now and expected by Estyn. They want the kids out and playing. 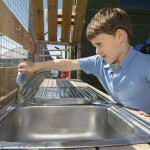 “Learning through outdoor play is a big thing now. There isn’t much for the children in the village and it feels like we’ve got this for them and it will be there for evermore. “It’s a complete transformation when you see what it was like before. We’re really thankful to Carys and everyone who has helped make this happen. Carys added she was proud that she completed the Zip World challenge but admits there won’t be any more thrill-seeking adventures in the future. This entry was posted in Business, Community, Featured, News, Young people. Bookmark the permalink.